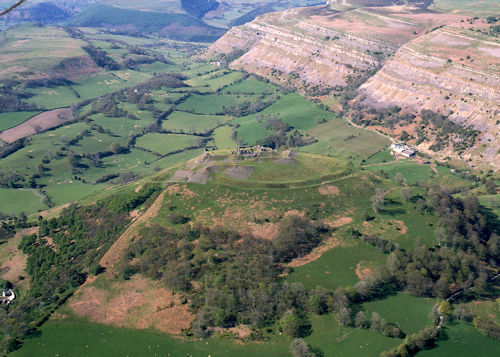 Hillforts and Defended Enclosures of the Welsh Borderland. Summary. Britnell and Silvester. Internet Archaeol. 48. Hillforts and defended enclosures are among the earliest and most enduring landmarks in the landscape of the Welsh borderland region and are vital to our understanding of its social and economic history for a millennium and a half, from the Late Bronze Age through to the early post-Roman period. Since the modern political map clearly is of no significance for this period, this review — which stems from recent survey and assessment work on hillforts and defended enclosures in central and north-east Wales — takes the opportunity to look across the border and see what is happening in the adjacent areas of England at this time. Go to article Table of Contents. This open access publication was funded by Cadw. Internet Archaeology is an open access journal. Except where otherwise noted, content from this work may be used under the terms of the Creative Commons Attribution 3.0 (CC BY) Unported licence, which permits unrestricted use, distribution, and reproduction in any medium, provided that attribution to the author(s), the title of the work, the Internet Archaeology journal and the relevant URL/DOI are given. Internet Archaeology content is preserved for the long term with the Archaeology Data Service. Help sustain and support open access publication by donating to our Open Access Archaeology Fund.